On this day in 1215, the Catholic Church inaugurates the doctrine of transubstantiation as detailed in the Fourth Lateran Council, convened by Pope Innocent III. Transubstantiation is the tenet that the bread and wine of the Eucharist actually and literally change into the flesh and blood of Jesus Christ during the ritual of communion. This, yer old pal Jerky supposes, means that all practicing Catholics are cannibals. On this day in 1500, Louis XII of France and Ferdinand II of Aragon agree to divide the Kingdom of Naples between them. On this day in 1675, Gottfried Leibniz demonstrates integral calculus for the first time to find the area under the graph of y = ƒ(x). 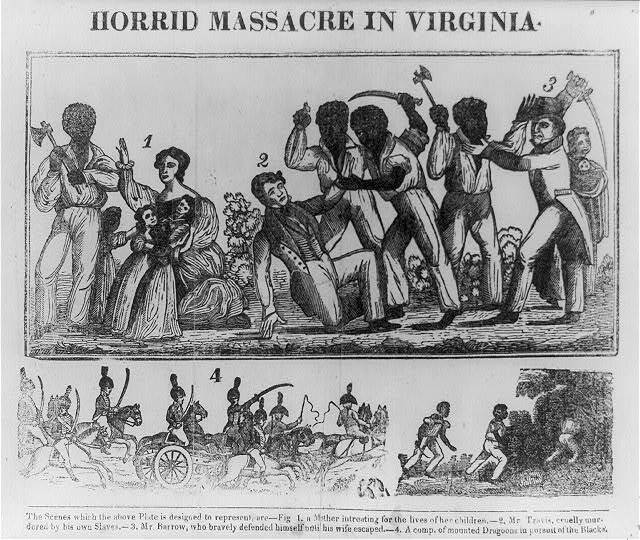 On this day in 1831, in Jerusalem, Virginia, Nat Turner is hanged after inciting a violent slave uprising. On this day in 1864, Sherman's March to the Sea – Union General William Tecumseh Sherman begins burning Atlanta, Georgia to the ground in preparation for his march south. On this day in 1880, Australian bushranger Ned Kelly is hanged at Melbourne Gaol. On this day in 1887, anarchist “Haymarket Martyrs” August Spies, Albert Parsons, Adolph Fischer and George Engel are executed. On this day in 1918, Germany signs an armistice agreement with the Allies in a railroad car in the forest of Compiègne, France. The fighting officially ends at 11:00 a.m., (the eleventh hour in the eleventh month on the eleventh day) and this is annually honoured with a two-minute silence. The war officially ends on the signing of the Treaty of Versailles on 28th June, 1919. On this day in 2004, the Palestine Liberation Organization confirms the death of Yasser Arafat from "unidentified causes". Mahmoud Abbas is elected chairman of the PLO minutes later.